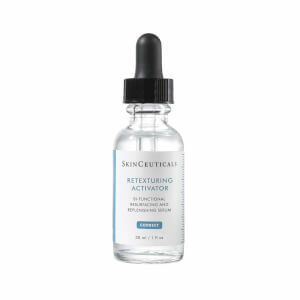 Repair your skin while you sleep with SkinCeuticals Resveratrol B E. With age and time, free-radical damage takes its toll on your skin, breaking down its thickness and resilience and causing it to lose its healthy glow. But skin repairs itself best while you sleep, and this powerful night time antioxidant treatment fights free-radical damage with a super-charged concentrate of resveratrol, enhanced with baicalin and vitamin E. This combination significantly enhances your skin's own natural repair process to help restore youthful radiance. Suitable for all skin types. Ideal for those with mature skin. 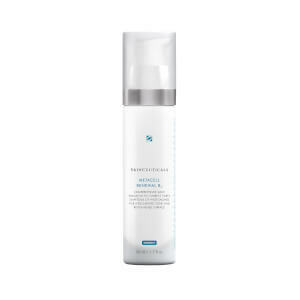 1% Resveratrol: Derived from knotweed plant that helps boost skin's natural antioxidant mechanisms. 1% alpha tocopherol (vitamin E): The most abundant, pure form of vitamin E neutralizes free radicals and replenishes skin's lipids. I like that I can use this as a serum without adding a moisturizer on top - simplifies night routine and doesn't leave me feeling like I have too much product on my face. The product dries quickly but does not leave your skin feeling dry. It has seemed to improve skin texture and look. MY wife love it very much. I love it,I am sure I will buy it again! I love this product!! It will absorb and give you the most radiant skin. I have been using this for years!! Can't be without it!!! This is an amber-colored semi-clear product and goes on easily and smoothly. I thought it would be quickly absorbed into my skin like a serum but it it's thicker and creamier and stays on top of the skin a bit more. Not quite gel-like but still a bit different from a normal serum. I really like that it doesn't irritate my skin. I use it every other day and hope that it'll continue to "prevent" and "protect" (as I don't see much "repair"). This is great and gives me the extra moisturization that I need on Retin A nights. Will definitely repurchase. It's been almost 2 months since I started using this product. Man, I love it! My skin has shown so much improvement. 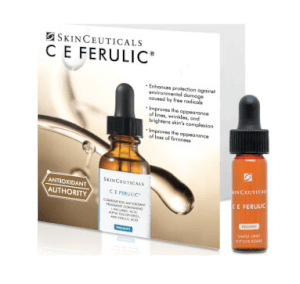 I use a full regime of SkinCeuticals and SkinMedica . I also get regular peels. My co-workers are amazed by how young my 60-year-old face has gotten in the last 5 months of good skin care. I am truly happy with this product. I have seen a big difference in skin tone and firmness. It is a great anti-aging product. I have been using it for about two years now. Even my skin care specialist sees the difference! I love this product and I continue to notice improvements in my skin texture. My skin seems to be firmer and fuller. This is very expensive but effective. I use it every other night with no irritation. When I use it routinely, I notice continued improvement in my skin.